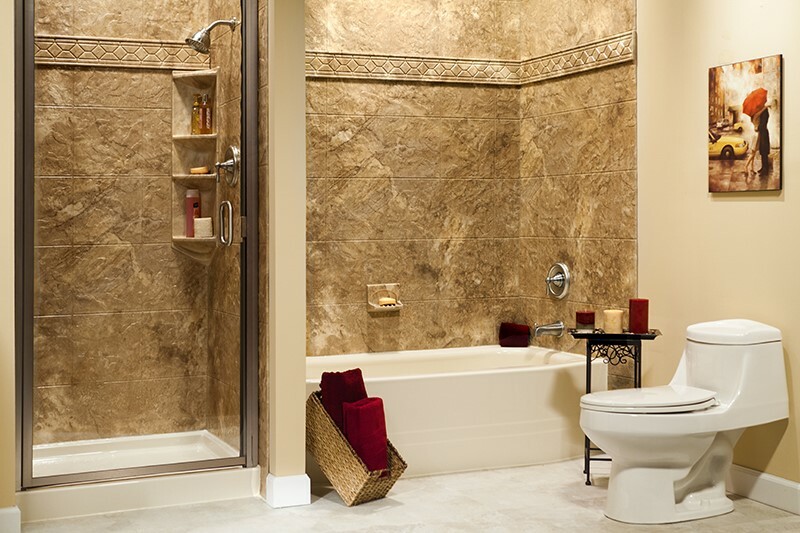 Available in dozens of styling options, our shower walls are both beautiful and hassle-free. 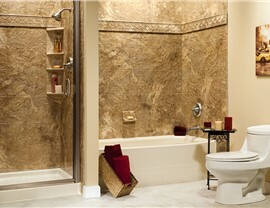 Wouldn’t you love to rinse off in an elegant, comfortable shower that requires little to no regular maintenance? 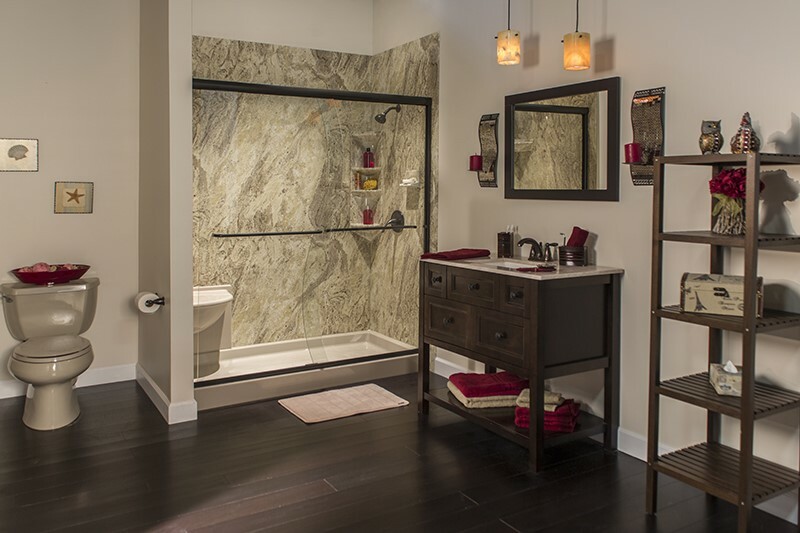 What if you could start enjoying this brand-new shower in next to no time? With the help of Center Point Renovations, this dream can be your reality—for far less time and money than you thought possible! 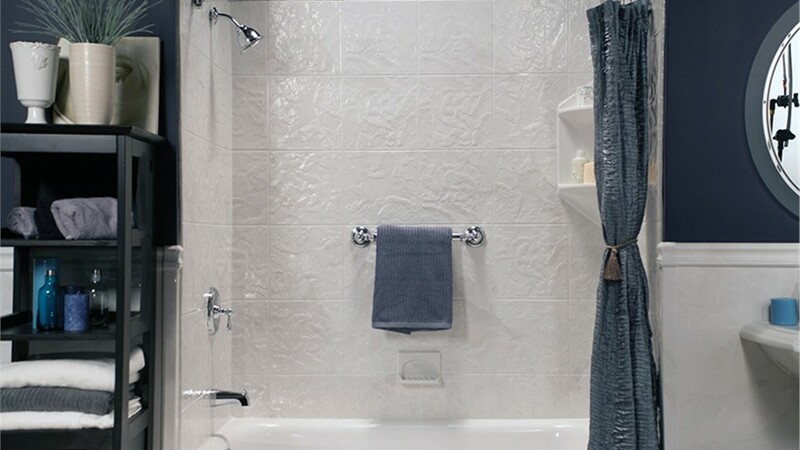 By covering grimy, outdated, or unattractive shower walls with our custom-fitted shower surrounds, we can upgrade the style, durability, and comfort of any Dallas shower in as little as a single day. Lasting Durability: Our shower surrounds are crafted from thick, nonporous acrylic that’s guaranteed to withstand the heaviest wear and tear. You won’t ever have to worry about chipping, cracking, or discoloration! 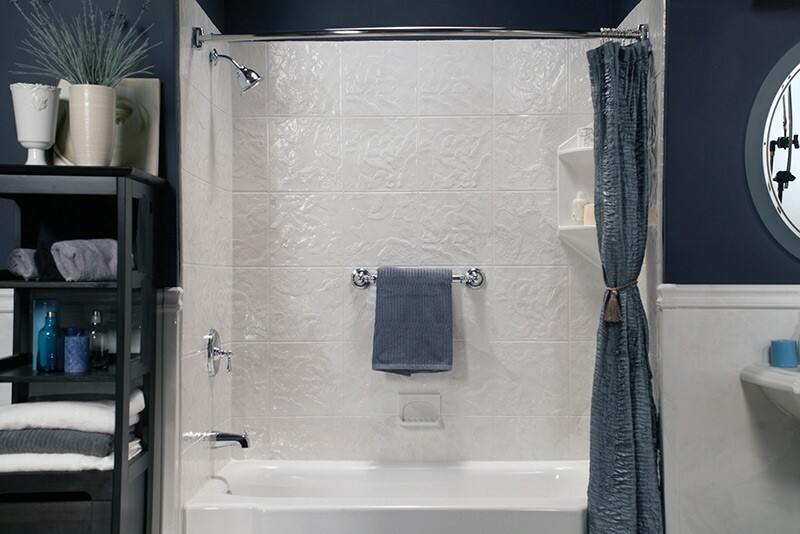 Personalized Style: With dozens of color, pattern, and styling options, no one will guess how affordable your designer shower walls actually were! Expert Installations: To ensure work of the highest quality, our factory-trained crews are supervised by on-site project managers, covered by workmanship warranties, and backed by our $100 on-time guarantee. Easy Maintenance: Because our shower surrounds are infused with a powerful advanced agent, you can say goodbye to hours and hours of heavy cleaning! 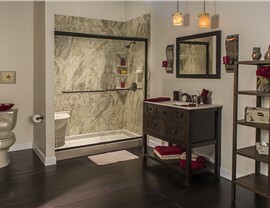 With more than 75 years of remodeling experience and a longtime commitment to excellence, Center Point Renovations is a company you can count on for your bathroom remodel, wherever you live in the metroplex. 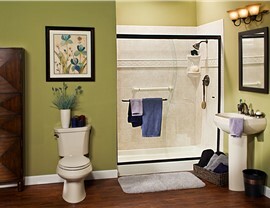 Find out more about our Dallas shower surrounds by calling us or completing our quick online form now! 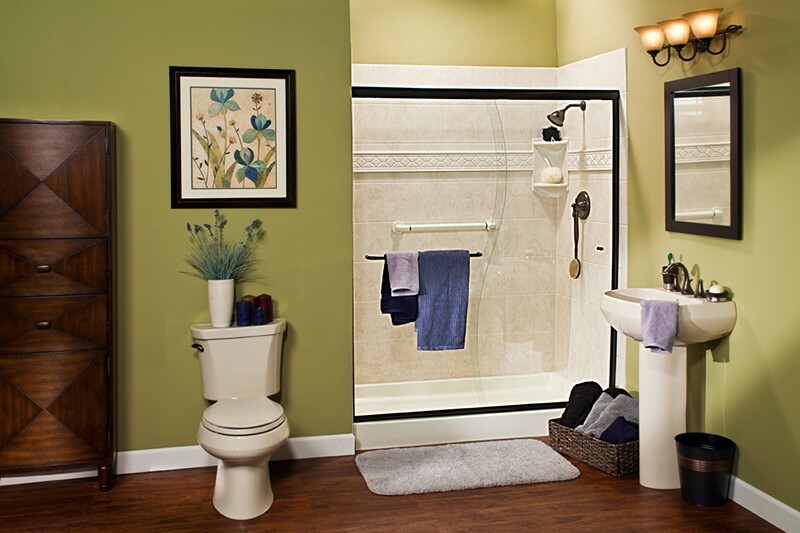 One of our licensed and certified bathroom remodelers will be in touch to discuss your project and schedule your free, precise quote.